So, you're thinking of moving house to get a good school? You're not alone. Nearly 40 percent of parents are considering it, according to a recent survey for ING Bank. But moving house is an expensive business – costing £9,500 on average – so there's no room for error. Get it wrong, and you're looking at a very stressful and expensive mistake. So, before you start measuring up, here are a few tips to help you get it right, first time. If schools are your top priority, don't lose sight of that when you visit properties with features that you fall in love with. Yes, you might have always wanted a walk-in larder, but will you get into the school you've set your heart on? No matter how close the school is, don't assume you'll get a place without checking the facts first. If it's a school in Hertfordshire, we've done the legwork for you. Use SchoolGuruHertfordshire to find out whether you'd have got a place in previous years. If you can see that you wouldn't have got a place five years running, don't think: this could be our lucky year, then. You're only kidding yourselves. If you're looking outside Herts, ask the schools if they rate your chances. Give them as much info as you can about your circumstances. Look at the admission rules and work out which rule you'd be considered under. Also, use Google maps to estimate how far away you live from the school (check the rules – some areas measure distance 'as the crow flies', other go by the 'shortest route' using roads, cycle paths etc). Ask the school if someone in your position would have got a place in previous years. Then ask if they’re planning to change the rules, or slash the admission number, or do anything else that could reduce your chances. Ever thought about renting? If you see a property that might not be ideal, but would get you into the school you want, how about it? There's nothing illegal about renting to get into the school you want... but you do have to actually live in it and intend to stay there. We asked Herts CC about what's permitted, and what's not, and the response was as follows: "The address you use on your application form should be your child's current permanent address. 'Permanent' means lasting for a long time, or not expected to change. If you were to rent a property, but maintain your current residence with the intention of moving back to it, then the rented property would clearly not be a 'permanent' address. If we believe an applicant has given incorrect information on their application we will investigate accordingly. 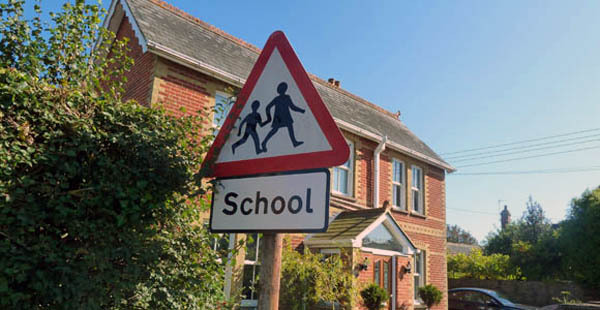 All such cases are looked at on an individual basis but, where we believe a school place has been obtained fraudulently, we may withdraw the offer and allocate the child a place at another school, which could be some distance from their home". Some headteachers are also turning detective to ensure that the rules are followed. Ask your Local Education Authority what their policy is. Then play by the rules, even if it means living in a cramped dive for a few months. Most people assume if they get one kid in, they'll get them all in. Uh-uh. Although this is usually the case, there have been exceptions. We know of parents who have got their oldest child into a Catholic school, despite not being Catholic. Oh goody, they thought, that's the end of it. However, not all faith schools prioritise siblings in their rules, so younger brothers and sisters can find themselves out in the cold. Lesson to learn if you're not a church-goer: always check the rules, and see where siblings are ranked. If you're worried, talk to the head, before applying. Have there been cases of siblings not getting in? If so, do you really want to risk the stress of having kids at different schools? Make sure you’ve moved by the application deadline, or are about to exchange contracts or can produce a rental agreement (contact your LEA and make sure you're covered). If you’re classed as a late application, forget it. You’ll be left with the scraps. That's all for now. Good luck with the move – and don't forget to invite us to the house-warming.